It is tragically true that few of those who believe 'all spiritual beliefs are valid paths to God" seem to have made an in depth study of various religions to see if their claims are based on fact, or fairy dust.There is far more evidence in favor of the Bible being true, than there is for any of the other 'holy books' like the Qur’an, the Bhagavad-Gita, the writings of Confucius, or the Book of Mormon. This evidence includes it's humanly impossible authorship, it's candor about the faults and failings of it's main characters, fulfilled prophecy, and it's archaeological and scientific accuracy... none of which are seen in the books of other religions. First, we will present a brief summary in which we compare the spirits’ views from channeled literature with Bible teaching. Then we will quote the spirits in more detail to further document their beliefs. But the Bible teaches that God is a personal, holy, and loving Being who created the universe distinct from Himself (Genesis 1:1; John 3:16). But the Bible teaches that Christians worship a living Christ, that Jesus is the Christ, and that He is fully Man and fully God in one Person. He is the only unique Son of God (Luke 2:11; John 1:1; Romans 1:4; Philippians 2:1-9; Titus 2:13). On the other hand, the Bible teaches that man is a created being and not part of God (Genesis 1:27). Man sinned by disobeying God, resulting in his being separated from God’s fellowship (Genesis 3:3-8). Now we will cite the words of some of the most popular spirits in America concerning their religious teachings. This is necessary because so many millions of people today believe that these spirits offer teachings that are consistent with the Bible and Christian faith. As you read the words of the spirits carefully, ask yourself some questions. Are these teachings good or evil? Are they true or false? Are they what we would expect from lying spirits or truly good spirits? "Ramtha’s" teaching on God: Ramtha teaches the Christian God is an "idiotic deity" (p. 219); "God, the principal, is all things" (p. 250). "Ramtha’s" teaching on man: "You are God" (p. 61); "God the Father is you" (p. 136); "Everyone is what you call a psychic" (p. 139); "Love yourself... live in the moment, to exalt all that you are" (p. 149). "Ramtha’s" teaching on sin: "There is no such thing as evil" (p. 60); "For 2,000 years we have been called sinful creatures ... [but] we are equal with God or Christ" (pp. 180-81). "Ramtha’s" teaching on salvation: "Do not preach to this world.... The world doesn’t need saving—leave it alone" (p. 130); "Relinquish guilt... do not live by rules, live by feelings. ... You are the Lord of Hosts, you are the Prince of Peace" (p. 149); "Now to become enlight-ened is to make the priority of enlightenment first—the priority of love of Self first" (p. 227). "Ramtha’s" teaching on death: "God has never judged you or anyone" (p. 62); "No, there is no Hell and there is no devil" (p. 252). "Ramtha’s" teaching on Satan and demons: "Devil? I looked far and wide for the creature.... I found him nowhere [but] I found him thriving in the hearts of frenzied entities in a fervor of madness to save the world from its sins.... That is where he is. [Do] you understand?" (pp. 252-53); "The devil is not really evil... because he’s really God.... Who else would he be?" (p. 251). 2. "Jesus"—the spirit who worked through medium Helen Schucman in A Course in Miracles, 1977; citations are listed by volume and page. "Jesus’" teaching on God: "The recognition of God is the recognition of yourself. There is no separation of God and His creation" (1:136). "Jesus’" teaching on Jesus: "There is nothing about me [Jesus] that you cannot attain" (1:5); "Christ waits for your acceptance of Him as yourself" (1:187); "Is [Jesus] the Christ? O yes, along with you" (1:83). "Jesus’" teaching on man: "God’s Name is holy, but no holier than yours. To call upon His Name is but to call upon your own" (2:334); "You are the Holy Son of God Himself" (2:353-54). "Jesus’" teaching on sin: "Sin does not exist" (3:81); "Sin is the grand illusion... joyously [release] one another from the belief in sin" (1:375, 377-78); "See no one, then, as guilty ... [within all men] there is perfect innocence"; "No one is punished for sins [and you] are not sinners" (1:88). "Jesus’" teaching on salvation: "[Divine] forgiveness, then, is an illusion" (3:79); "[It is] a terrible misconception that God Himself [judged] His own Son on behalf of salvation.... It is so essential that all such thinking be dispelled that we must be sure that nothing of this kind remains in your mind. I was not ‘punished’ because you were bad" (1:32-33, 87); "A sense of separation from God is the only lack you really need to correct"; "Salvation is nothing more than ‘right-mindedness’"; "You are one with God" (1:11,53; 2:125); "Do not make the pathetic error of ‘clinging to the old rugged cross.’... This is not the gospel I... intended to offer you" (1:47). "Jesus’" teaching on death: "There is no death, but there is a belief in death" (1:46); "Death is the central dream from which all illusions stem" (3:63). 3. "Seth"—the spirit speaking through Jane Roberts and written down by her husband in Seth Speaks, Prentice Hall, 1972; citations are listed by pages. "Seth’s" teaching on God: God is "All That Is" (p. 405). Seth’s" teaching on Jesus: "He [Jesus] will not come to reward the righteous and send evildoers to eternal doom" (p. 389). "Seth’s" teaching on sin: "A strong belief in such [concepts of good and evil] is highly detrimental" (p. 191). "Seth’s" teaching on salvation: "The soul... is not something you must save or redeem, and it is also something you cannot lose" (p. 89). "Seth’s" teaching on Satan and demons: "The devil is a projection of your own psyche" (p. 7); "There are no devils or demons" (p. 405). The spirits’ teaching on God: "God is the name of What Is." (Ruth Montgomery, Here and Hereafter, Fawcett Crest, 1968, p. 74). The spirits’ teaching on man: "God wishes that it [psychic ability] be utilized and developed to the fullest potential" (Ruth Montgomery, A Search for Truth, Bantam, 1968, p. 160); "We are God" (Ruth Montgomery, A World Beyond, Fawcett Crest, 1972, p. 12). The spirits’ teaching on death: "There is no such thing as death" (Ibid., 66); "God punishes no man" (Ruth Montgomery, Here and Hereafter, Fawcett Crest, 1968, p. 174). The spirits’ teaching on Satan and demons: "I have seen no signs of a devil on this side of the veil [‘veil’ here means death]" (Ruth Montgomery, A World Beyond, Fawcett Crest, 1972, p. 64); "The devil was not a person ever" (Ibid., p. 65). 5. Various spirits who allegedly knew Jesus on earth, written through medium Kahlil Gibran in Jesus, the Son of Man (New York, A. A. Knopf, 1959); citations are listed by pages. The spirits’ views on God: "Israel should have another God" (p. 32). [only] a man"; "Jesus was a man and not a god.... It’s a pity his followers seek to make a god of such a sage" (Ibid., pp. 43, 109, 113). Now consider again the content of what you have just read. Do the spirits endorse the occult when God forbids it (Deuteronomy 18:9-12)? Do these spirits deny there is a devil when Jesus taught that Satan was a real, personal being (Matthew 4:1-10)? Why do you think the spirits claim men are not sinners when all men know in their hearts they are? Why do the spirits teach that God is impersonal when God has revealed Himself in the Bible as a personal Being? Why do the spirits teach man to be selfish when such behavior is universally condemned? Why do the spirits deny that Christ died to forgive men’s sins when Christ Himself taught this was the very reason He came (Matthew 20:28)? Why do the spirits claim Jesus was simply a man when all the evidence proves He was God-Incarnate, the only begotten Son of God as He Himself taught (John 3:16; 5:18; 10:30; 14:6)? Why do the spirits say men are God, when all men know they are not God? Why do the spirits deny the existence of evil, when its reality is obvious to all? "the devil might be tempting me to do his work by operating through me when I was conceited enough to think God had given me special power" and "if ever the devil was going to play a trick on me, this would be it" (Thomas Sugrue, Stranger in the Earth, 1971, p. 210). The famous psychic Uri Geller and parapsychologist Andrija Puharich, M.D., were also uneasy over their spirit contacts. They felt something was "funny" or "wrong" and suspected they were being "played with," wondering whether or not the entities themselves were unstable (Puharich, Uri, 1975, pp. 173, 188-89). In the latihan, we are gradually pervaded and permeated with the life force that flows into us from our own awakened soul.... The latihan itself lasts for half an hour or more.... Some trainees are convinced that there is indeed a force, but an evil one. Others are simply afraid.... Indeed, the sense of being alone in the presence of a great Power is the strongest and clearest element of the whole experience. It is that Power that gives new life to the soul, and not ourselves, not anything that we do (Bennett, Concerning Subud, 1959, pp. 95, 103-07). The point is this: The religious teachings of the spirits are exactly what one might expect from demons. The irony is that the very theory that is most probably true, that Satan and demons do exist, is the one most rarely considered by those involved in these very practices. 1 Jon Klimo, Channeling: Investigations on Receiving Information From Paranormal Sources (Los Angeles: Tarcher, 1987), pp. 151, 173. 2 Jane Roberts, The Seth Material (New York: Bantam, 1976), p. 270. 3 Robert E. Leichtman and Carl Japikse, The Life of the Spirit (Columbus, OH: Ariel, 1987), Vol. 1, pp. 137-38, 146-53. 4 White Eagle Publishing Trust, Wisdom From White Eagle (Liss, Hampshire, England: 1978), p. 26. 5 Leichtman and Japikse, The Life of the Spirit, Vol. 1, pp. 83-84. 6 Ibid., pp. 138, 141. 9 E. g., ibid., pp. 83-87. 10 Ibid., Vol. 2, p. 43. 11 Ibid., pp. 41-42, 67-69. 12 Colin Wilson, The Occult: A History (New York: Vintage, 1973), p. 523. 13 Leichtman and Japikse, The Life of the Spirit, Vol. 1, p. 67. 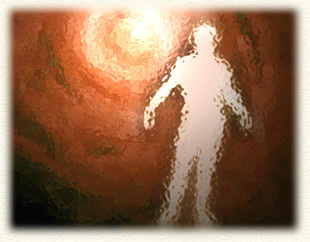 14 The Christ, New Teachings For an Awakened Humanity (Santa Clara, CA: S.E.E. Publishing, 1987), pp. 2, 21, 35, 51, 53, 62, 72, 82, 92-95, 139, 188.